But boy, was it worth it! It still feels brand new and I enjoy waking up and going to bed in that space every single day. I hadn't really thought I would participate this round, but when it came down to it couldn't bring myself to miss out on the fun, and get a makeover in the process! I'm grateful to Linda from Calling It Home, the creator of the One Room Challenge for encouraging us all to complete a room from start to finish in just 6 weeks- or a least get it in better shape than it was when we started! And really, there's absolutely nothing wrong with the room. But if you're one of my regular readers, would you ever have guessed that's a room in my house? I chose that wallpaper 9 years ago shortly after we moved in, and my sweet Dad worked to hang it for me. A few accessories, and it's stayed exactly the same this whole time. But... 9 years! My tastes have changed, my colors have changed, and I'm ready for that room to show it! I have the basic design plan rolling around in my head, but I'm still tying to figure out what I'll want for artwork and lighting. I'll lay that all out for you next week, but for now, here's a hint at where we're headed! Today I'm linking up with loads of other guest participants starting out on this 6 week journey to transform a space in their home as well, click here to follow along with them too. 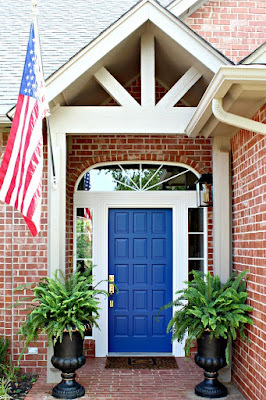 And, be sure to check in on the group of featured designers who will be sharing their updates each Wednesday. I have several sweet, uber talented blog friends in this group and will be waiting anxiously each week to check in on their progress! So glad you decided to jump in! Love the direction you are headed! Can't wait to follow along as you pull it all together - in between working on our closet of course ;)! 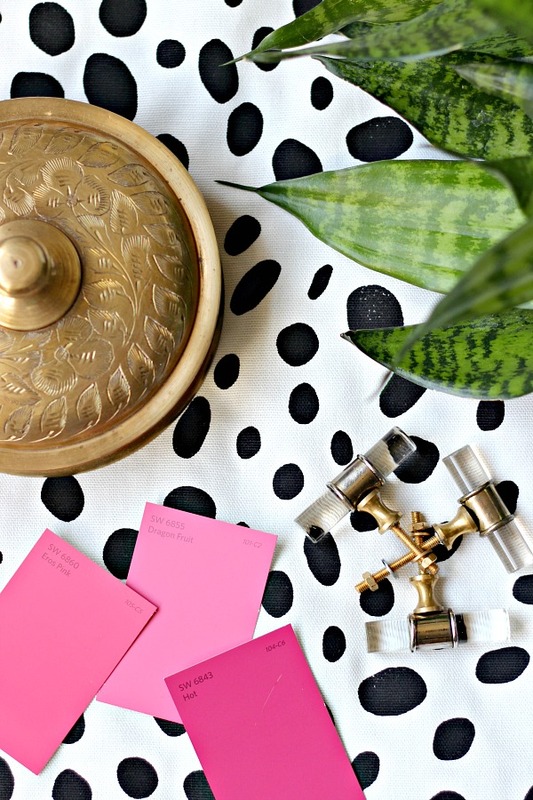 you had me at the pink paint chips! excited to follow your progress as i makeover a bathroom too! good luck with your challenge! 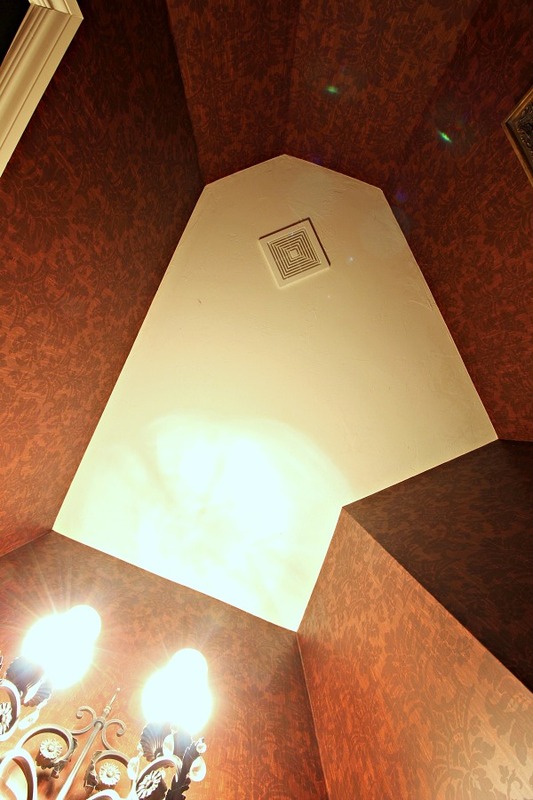 Clever idea to take a picture of the ceiling to show the floor. I'll be working on my Mom's powder room and it has wonky walls, too. That last picture is gorgeous. It's really going to be a little jewel box when you're finished. Love the idea of shooting the ceiling to show the shape of the space - and the after is going to be so fun! Oh I can't wait to see how this progresses. I adore the colors you've selected. Buy a few extra pulls...I used those on a pair of nightstands and three out of eight broke within 6 months! I love how they look though. I know. :( These are just for the idea... I don't have anything that needs pulls in the room but there will be some lucite and brass coming! I used these in my kitchen for a while and while I love the look they are not heavy duty at all. Oh this looks fantastic! 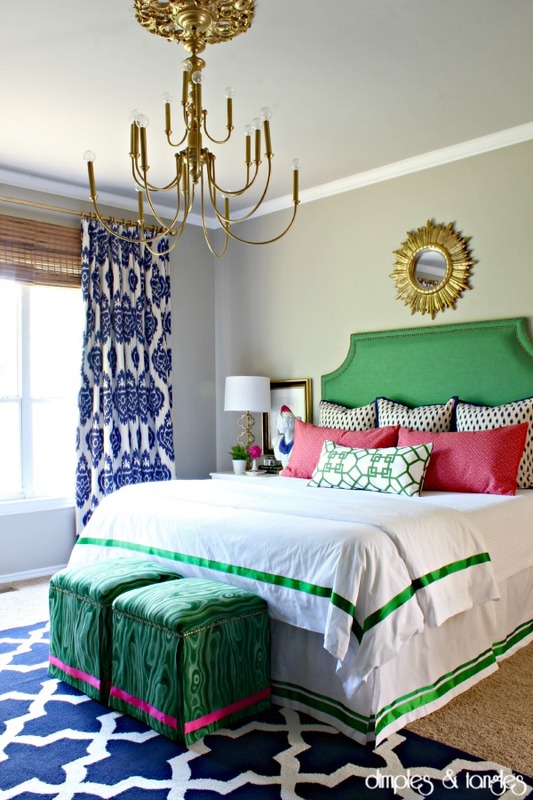 I love what you are thinking for the room. Can't wait to see!!! I absolutely LOVE what you have pulled together for the direction you are planning to take! Can't wait for the big reveal! 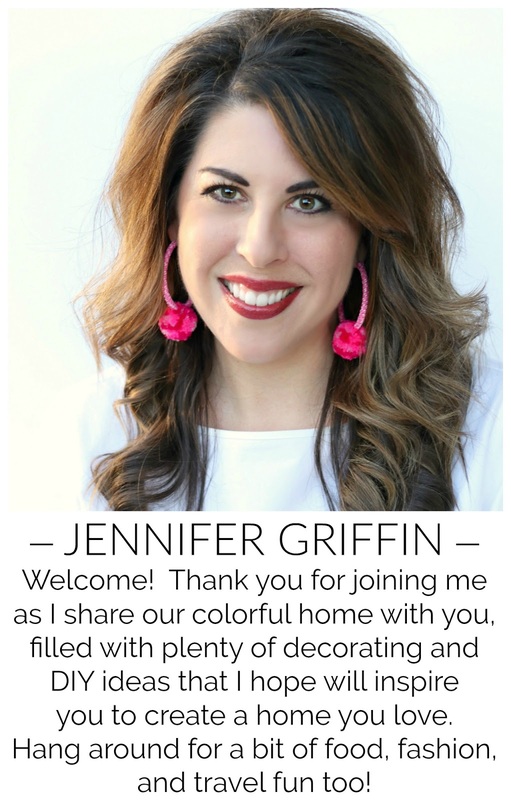 OOOOOOO, this is going to be so fun to follow along with Jennifer! LOVE the direction this is heading! This is going to be fun to follow!! Hi Jennifer, I had no idea you were jumping in. Your bedroom still makes me smile. 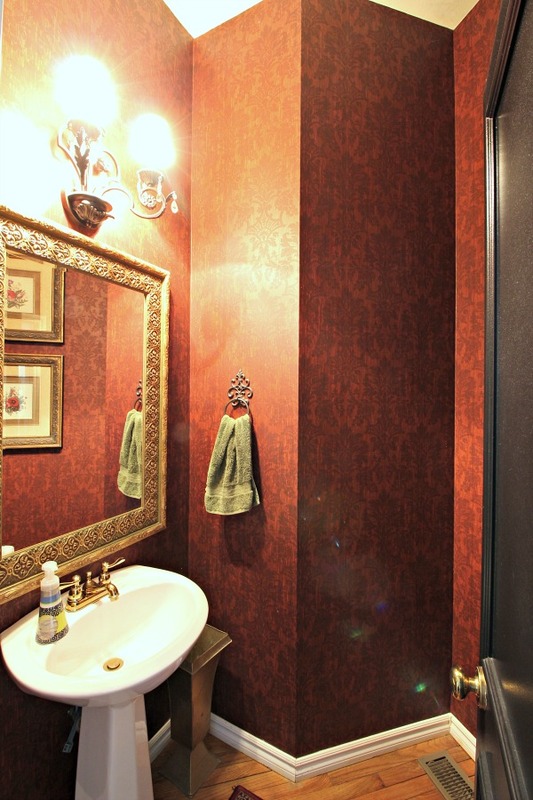 That powder room does not look like you....but you plan does! Pretty. Good luck. Cannot wait to see this room when it's complete! Oh wow! Jennifer this is going to be amazing! Interested in seeing how you use the shades of pink. Isn't it amazing when we look back and see what we thought at the time was perfect? :) I look forward to seeing the reveal. The paint chip labeled "Hot" works for me! can't wait to see what you do! i always love your fun prints and colors. 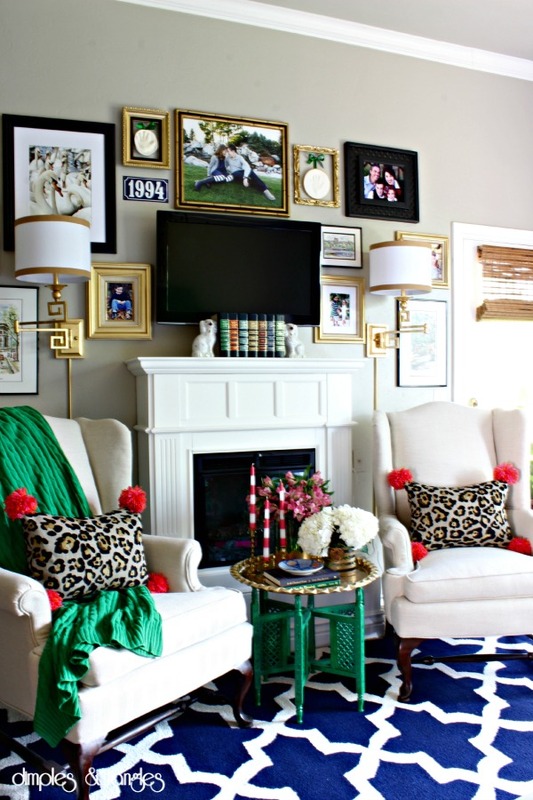 that room will definitely appreciate your spruce up! love the pulls and love the black and white! good luck! I am loving all your picks so far! I can't wait to see how it turns out! I loved your bedroom from last year, so I know this room will be amazing also! This is my first time participating in the One Room Challenge and I am so excited and nervous! Thanks for being such a great inspiration! You had me at black and white spots!! Can't wait to see more! Looks like fun! Can't wait to see more. That's a fun and tricky space! Can't wait to see what you do with it. No doubt it will be amazing! Well I know this is going to be simply fabulous, per usual! Can't wait to see it and let you inspire me! Yep, that bathroom is so not you! I'm loving the plans for where this space is going. A friend of mine painted a room a very similar pink and it was fabulous! No kidding, I would never have believed this was a room in your house! So very different from your current aesthetic. 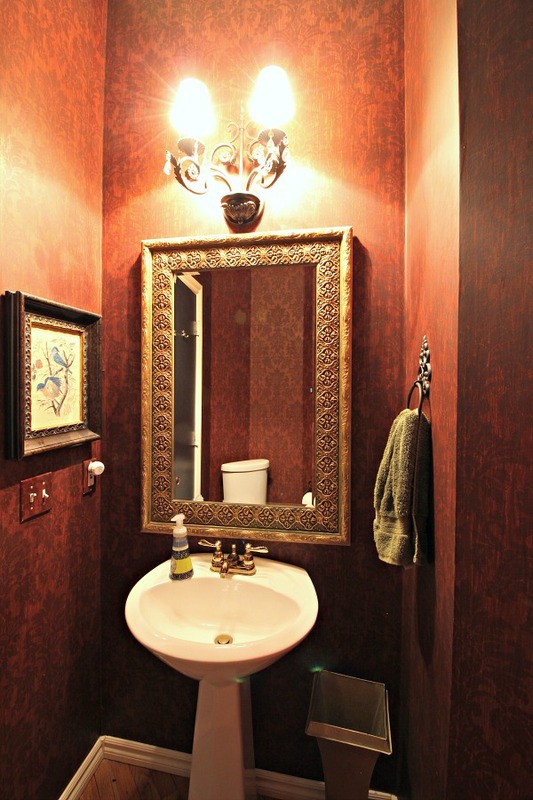 :) I love your bold use of colour and pattern mixing in other areas of your home, I'm very much looking forward to the progress and reveal of your powder room! 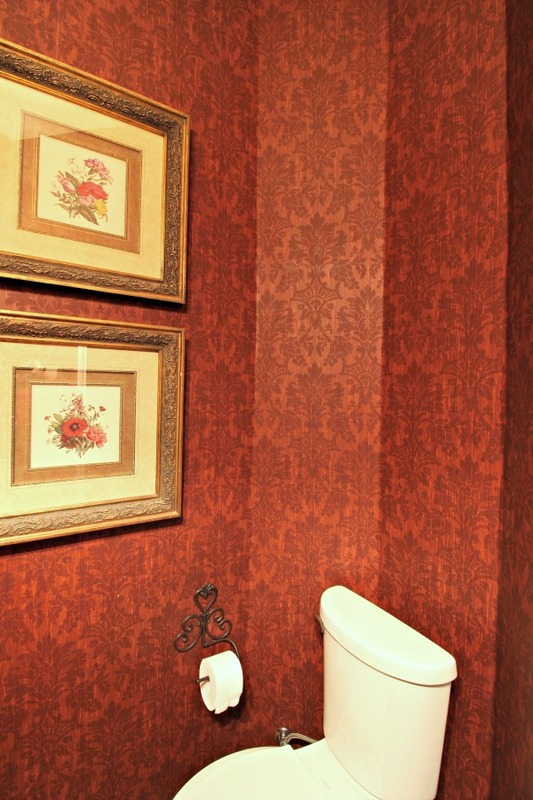 Your powder room is really pretty Jennifer but I agree, I never would have guessed this was in your house! Love the plan and can't wait to see what you do in here! Can't wait to see that transformation. Those pinks... so fabulous. Loving your hint! Definitely going to be a fun space. Also, you have THE cutest blog name! Stop it... I CANNOT believe that's the same house! SO nice to see that other people do a complete 180 with their design too... the new scheme looks so bright and cheery. Can't wait to see. As always! Tiffany, that is such a sweet offer! I'll message you.